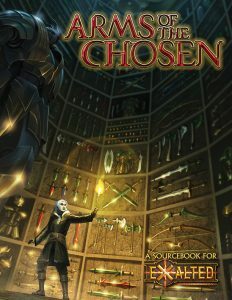 Now Available: Arms of the Chosen! 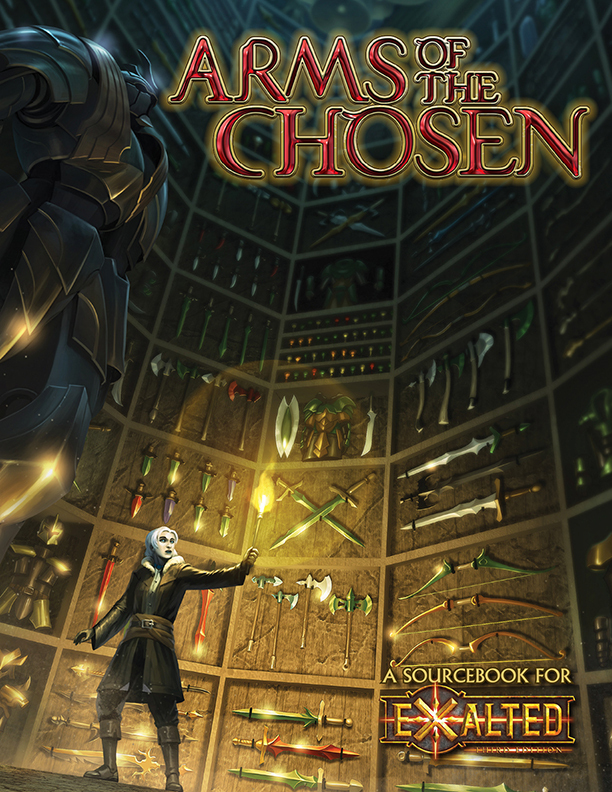 Now available as an advance PDF from DriveThruRPG: Arms of the Chosen for Exalted 3rd Edition! 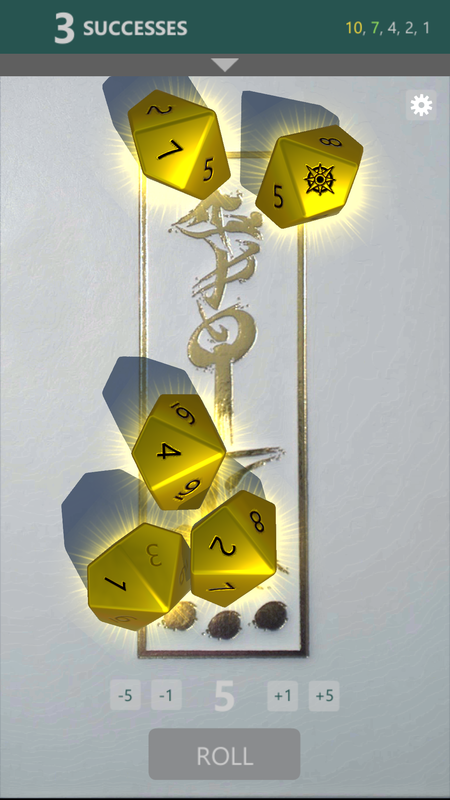 A reminder: the Onyx Dice dice rolling app for Storyteller/Storytelling/Storypath games is now available for iOS and Android! Check out the Solar, Solar Anima, Lunar, Lunar Moonlight, Dragon-Blooded, and Dragon-Blooded Civil War dice! Those of you who wanted to see what the special dice looked like in action, the developers have put up a gallery here. The app was updated on Monday, so if you had a bug reported or a feature request, that may already be incorporated! ◀ Now on Kickstarter: Changeling: The Lost 2nd Edition!